Looking for a job in Oxford County Maine? 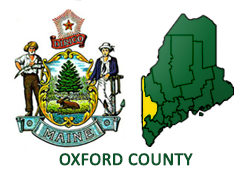 The following is a directory of Oxford County ME job sites. This list includes local city job links as well as the larger job posting boards. Only sources that have job listing pages, business directories, and/or legitimate human resources contact listings are provided below. Oxford County periodically posts job openings as vacancies become available. During review there had been an open position for a Legal Secretary. Check for current listings. The Town of Oxford Classifieds Help Wanted may periodically post employment listings. The Town of Paris Fire Department was seeking qualified individuals for the position of Per-Diem Firefighter/EMT. Monitor their site for new listings. Oxford Hills Chamber of Commerce maintains a business directory that's good for researching top regional employers. You can use the Bethel Area Chamber of Commerce to explore area employers. Catalyst Paper is a leading North American manufacturer of diverse specialty printing papers, newsprint and pulp. The plant operating in Rumford often has positions available such as Hourly Production Workers ($22 to $25 per hour) and Electrical & Instrumentation Supervisor/Planner. SMH employs over 700 professionals in a wide range of specialties. A sample of open positions found had included Registered Nurse Emergency Services RN, Mammography Technologist, Nurse Practitioner Oxford Hills Internal Medicine, Paramedic, Registered Nurse RN Operating Room, Registered Nurse RN Obstetrics, Registered Nurse Special Care Unit ICU, Certified Nursing Assistant CNA Special Care Unit, Respiratory Therapist RT, Advanced EMT, Medical Assistant, Patient Registrar, Systems Analyst IS, and Patient Access Apprentice. Norway Center for Health and Rehabilitation was hiring. Job openings found had included Social Worker, Licensed Practical Nurse LPN, Charge Nurse LPN, Med Tech, CNA, Cook, Medical Technologist, Assistant Director of Nursing Services, Registered Nurse RN, and Charge Nurse RN. Maine Veterans' Home in South Paris, is a 90 bed, long-term care, skilled nursing and residential care facility. Positions found had included Certified Nursing Assistant CNA, Activities Aide, PSS, Laundry Aide, CNA Med Tech, Per Diem Housekeeping Jobs, Food Service Aides - On call/Per Diem, RN Supervisor, Charge Nurse, and more. Oxford County Mental Health Services mission is to promote community wellness and empower individuals, by providing innovative, person-centered behavioral health services and education. During review there were openings for Physician's Assistant and Per Diem In-Home Daily Living Support Worker. Oxford Hills School District employment listings included Health Office Secretary, Food Service Secretary, Adult Education Director, Long-Term Substitute Sixth Grade STEM Teacher, Physical Therapist, Literacy Interventionist, and Literacy Coach. Check for updates. Maine Area School District 44 was hiring. Open positions found included Biology Teacher, District Technology Director, and School Bus Driver. Maine Area School District 72 had job openings for School Nurse Substitute, Long-Term Substitute Teachers for Math & Special Services, Full-time School Guidance Counselor, Special Services Ed Tech III, Teacher, Ed Tech, Custodian, and Bus Aide. Check for detailed and current listings. Rumford Region 9 School District's employment page was not found. Check their site for contact info. Main Career Center provides employment and training resources for job seekers with links to the Maine Job Bank and a comprehensive set of tools and job search site links for job seekers. Whether you are looking to improve your job qualifications, explore a different profession, find a new career or hire an employee, the CareerCenter can help. Maine JobLink Career Center lists thousands of jobs. The Maine State Civil Service System covers employees of the Executive Branch of Maine State Government. The Maine Municipal Association (MMA) is a voluntary membership organization offering an array of professional services to municipalities and other local governmental entities in Maine. Here you'll find library positions throughout the state. Jobs are listed periodically such as Library Children's Assistant, K-5 Library Information Integrator, Library Director, Public Librarian, Library Technician, Academic Librarian for Off-Campus Library Services, Library Media Specialist, Customer Service Bibliographer, and Cataloging Bibliographer.